If you need a way to transfer large files, videos, photos etc. from your Windows, Android or iOS device without using cables, Bluetooth or active WiFi networks you need SHAREit, a free app developed by Lenovo. 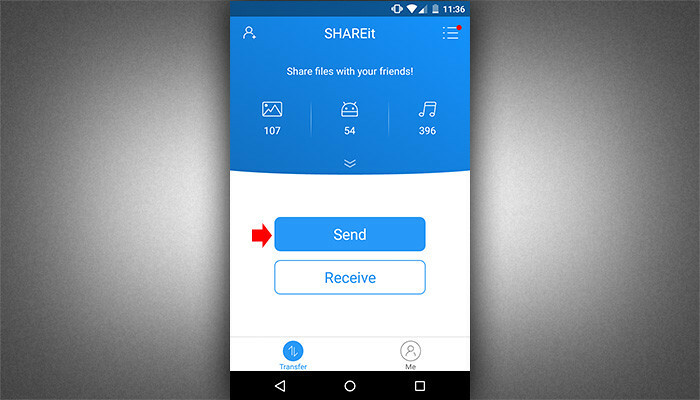 Using SHAREit, you can send big files (no limit on the file size to send) to other devices that also using the app 40x faster than using Bluetooth. And you don’t need to turn on your Bluetooth just to send and receive files. 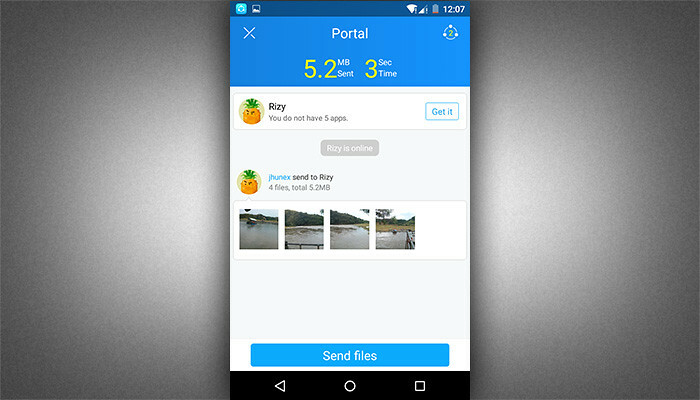 SHAREit uses your device WiFi radio to transfer files and you can use this app to transfer big files within 50 meters, if you are using Android and Windows devices. If you’re using IOS devices you cannot fully enjoy SHAREit because you still need a WiFi network to transfer files, also no SHAREit application available for Mac users. To use this app, you need to install to both devices, sender and receiver. Search for SHAREit in Google Play, App Store or go to the SHAREit download page and download the app for your device. Step 1. In the screenshot below I will use two Android device to send and receive files. 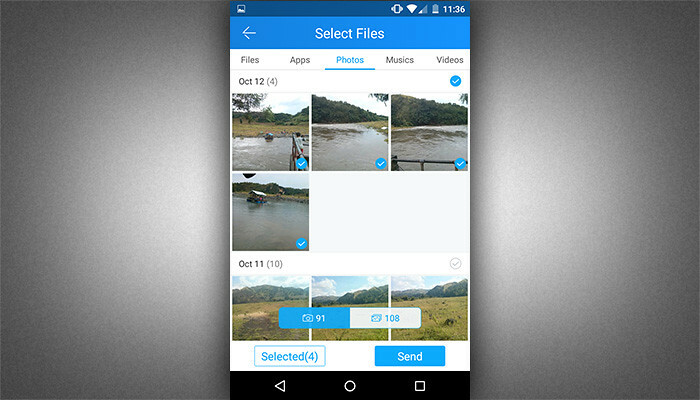 Now, after you installed the app, open it and tap on “Send” button to select files. Step 3. It will now search for other devices nearby. Step 4. 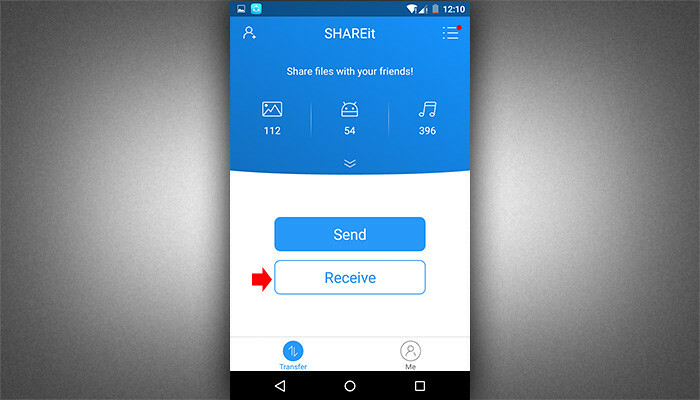 Now, open SHAREit app on the other device or your friend’s device and tap on “Receive” button. Step 5. 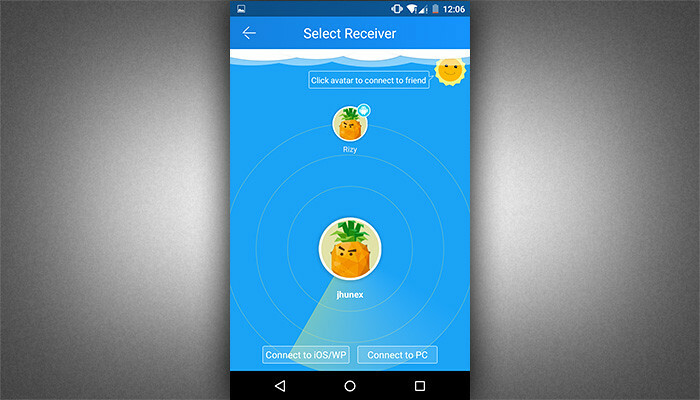 The sender device will see the receiver appear on the network, tap on the receiver to send. Step 6. After selecting the receiver it will start the transfer automatically and within seconds it will transfer the files depending on the file size. I already mentioned above that, IOS users can only send and receive file if you are connected in the WiFi network. 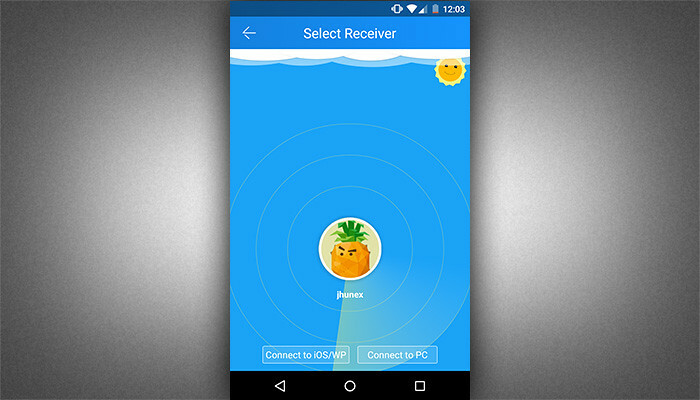 Now, if you are connected to a WiFi network and already installed SHAREit on your IOS device, open it and you will see an almost similar interface to Android device with Send and Receive button. The steps are similar to Android users, just follow the on screen instruction and your good to go.